(density 50 кg/m³, compression 1,10 Kpa). h = 31 mm. (density 50 кg/m³, compression 2,70 Kpa). h = 220 mm. (density 50 кg/m³, compression 1,10 Kpa). h = 60 mm. (density 50 кg/m³, compression 2,70 Kpa). h = 191 mm. 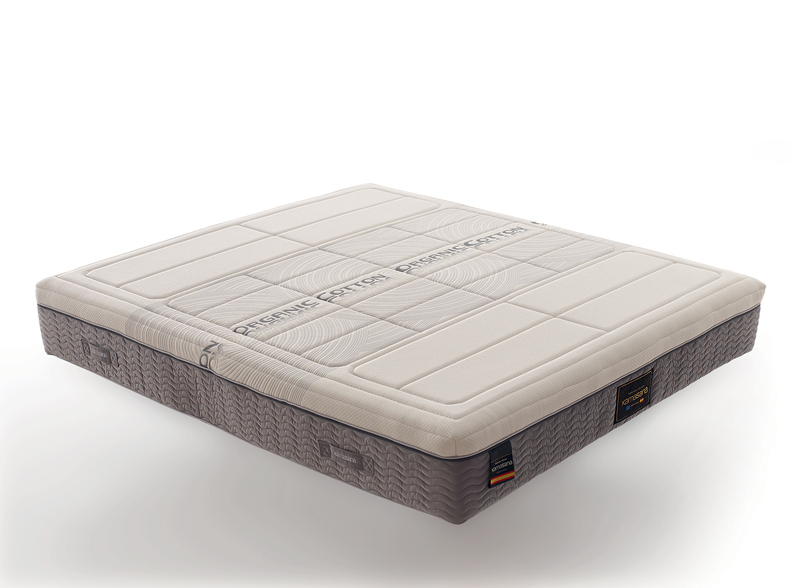 This mattress is one of the cross-functional mattresses from ‘Comfort’ class, and it is suitable for most users because of its orthopedic and anatomic properties, and due to surface thermoregulation for comfortable sleep and rest. 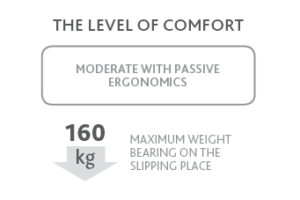 The unique design of this mattress provides you with the right position of your spine, taking into account all the physiological features of your body, regardless height and weight. The mattress has soft anatomic upper layers with memory effect, which provide our users with the most optimum comfort for sleeping, and orthopedic bottom layers made from Orto Resilen® material, which will ensure the ideal position of the spine and the skeleton during whole sleep and rest.